Your Visual Arts faculty will be at the Fall 2016 CPCC Open House! What about you? 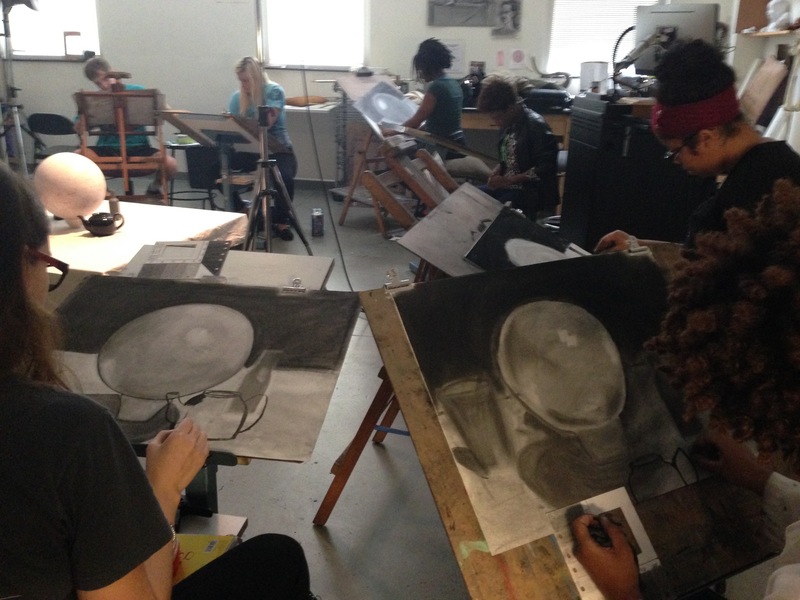 Drawing students work on a value study during class at CPCC’s Central Campus. You are invited to CPCC Open House 2016! Experience what makes CPCC one of the top community colleges in the nation and why you should consider us as your first choice. Engage with faculty and staff at more than 50 information tables representing academic programs, student services and student life. Explore our campus on a guided tour with one of our Student Ambassadors. This entry was posted in advising, Faculty, transfer info by Carolyn Jacobs. Bookmark the permalink.